Every year new fads, fashions and gadgets work their way into the mainstream and become the “next big thing”. Websites, games, styles, songs, and toys tend to make a habit out of becoming extremely popular for a very short time. One of the most recent hip items going around is the fidget spinner. Perhaps the most interesting thing about this little spinning gadget however, is that it may not be just a passing fancy. These gyrating toys may prove to have similar longevity to toys like the Rubik’s Cube, which first became popular back in the 1980’s and is still sold today. The reason is that they aren’t just little finger toys. They are enticing. Fidgeting with these spinners is much like squeezing a stress ball or bouncing a tennis ball around. It is distracting to toy with the fidget spinner; but it is a good distraction. Many people use these items to relieve stress and to relax, and relaxation is certainly not just a fad. In a world that has become more and more sidetracked with digital devices and social media, a real life gadget like the fidget spinner is a pleasant diversion from the norm. If you haven’t jumped on the fidgeting wagon just yet or you’re looking to extend your fidget spinner collection then you’ll be happy to know that you’ve come to the right place. Reason being that today we are going to break down the best and most popular fidget spinners currently on the market. You’ll be spinning away stress in no time. 2 What is a Fidget Spinner? As we recognized before, there are a lot of manufacturers trying to get into the market that this popular gadget has created. But we’ve taken the time to compile a list of the very best spinners in a variety of categories. Sometimes there is nothing better than the original. If you just want to get your hands (or your gift recipient’s hands) on a regular fidget spinner, than look no further. It is a popular choice. 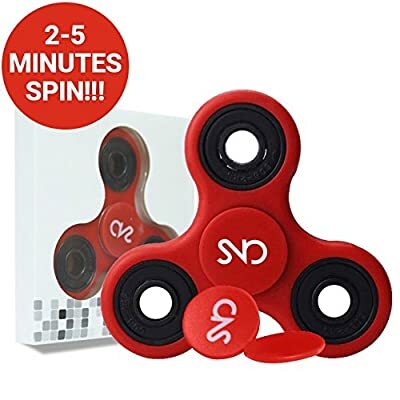 The manufacturer boasts that the spinner has a spin time of 2-5 minutes and the full ceramic bearing promises that your spinner will be powerful and durable. Why not get a spinner specifically design to entertain your children? Try these wonderful options. It looks cool, it’s built tough, and it spins for up to nine incredible minutes. The Atteson Tri-Spinner Ultra is perfect for kids because it blends style with excellent functionality. Another great looking spinner. Certain varieties of this fidget spinner will even glow in the dark. Children will get a kick out of the way these spinners seem to floating all by themselves in a dark place. These spinners are also very friendly on the wallet; which leads us to our next category. Here are some less expensive spinners that are still worth your time. These spinners are so cheap that you might as well grab a few. They are just about $4 and you can have a handful of them lying around in case one or two go missing. 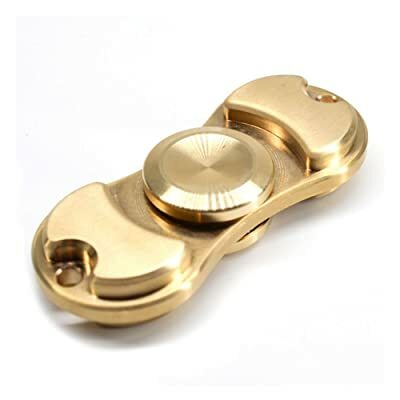 This spinner also remains under ten dollars but still guarantees high quality bearings that emit little noise. You’ll also note its unique design. This spinner, rather than being a tri-spinner, has just two tips. It has a mature look and is easy to stuff in your pocket. These features make it great for adult use. Fidget spinners aren’t just for kids! Take a look at these adult friendly fidget spinners. 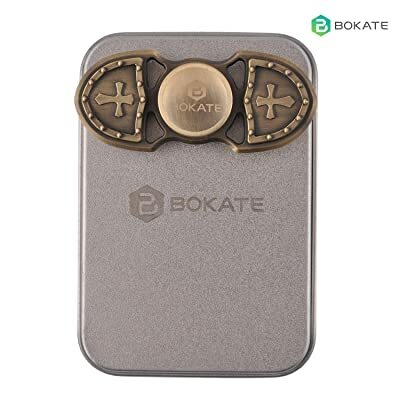 The Bokate Crusader spinner is a two tipped fidget spinner with tips that resemble medieval shields. The spinner has a silver colored metal exterior to give it a more mature look. In fact, the gadget almost looks more like a bottle opener than a toy. Speaking of bottle openers, this spinner is exactly what an adult ‘fidget-er’ needs. It spins like all the others, but you can also show it off at parties. 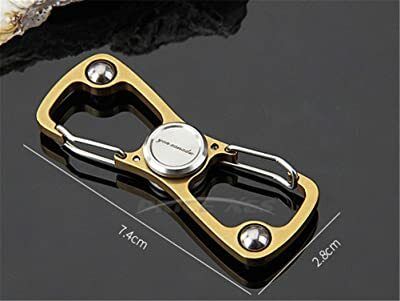 People will be coming to you to help them open their bottles once they’ve seen your unforgettable spinner/bottle opener. Here are some other fidget spinners that feature cool designs and looks. Gorilla Spinners feature sleek metal and ceramic designs that have more style than you would expect from a handheld plaything. They are almost like the luxury car of fidget spinners. This thing practically sells itself. 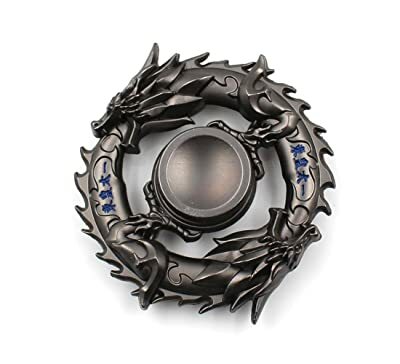 The Black Dragon Spinner resembles something out of a martial arts blockbuster as it features three metal dragon heads in place of tips. There is also a Chinese dragon edition as well as several others that feature a variety of animal heads. This one is a little out there – but perfect for those who like unusual accessories. It is shaped like the famous Batarang boomerang from the Batman comic books and movies, but it is decorated with an American Flag print. Check out more fidget spinners on Amazon as they have a handful of similar quirky designs. So maybe you aren’t quite familiar with what a fidget spinner is, or you might just be a little foggy on the details. If that’s the case then here is all you need to know about the fidget spinner. Fidget spinners are palm sized ball bearing gadgets that are meant to be rotated by the fingers of the user. They look like a cross between a ceiling fan or helicopter blade and the business end of a three-headed electric shaver. The fidget spinner is one of the hottest toys on the market right now and can be bought at a variety of locations. These toys can range from just a few dollars to over $10 a piece, depending on the durability, design and appearance. These gadgets are marketed by some manufactures as a way to release anxiety and help to manage ADHD. 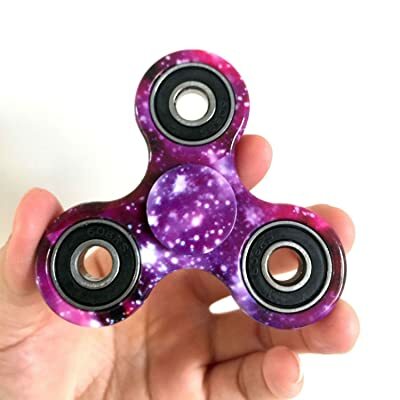 There is however, no scientific proof that the fidget spinner achieves either claim, but nevertheless the toy can be a healthy distraction away from social media, video games, and cell phones. Not to mention, fidget spinners are a fun way for people of all ages to pass the time while doing just about anything. They are just as alluring while waiting at the bus stop as they are while chit chatting at the bar. It seems unfortunately that the fidget spinner is becoming the new rubber band ball. It is a distracting little item that it a heck of a lot of fun to play with, and because of this it is gaining a bad reputation in classrooms. Some teachers complain about their students being distracted during school hours by these addicting devices and many schools have even banned fidget spinners or told students to keep them in their backpacks during class. But that’s no reason to steer away from them. After all, any toy can distract a student during class and the fidget spinner is a great little toy as long as it is used responsibly. With summer vacation just around the corner, the last thing you want to hear from your child is this dreaded two word phrase. So maybe they aren’t great for school, but there are appropriate times for the fidget spinner. Thought it is still disputed whether or not fidget spinners have any sort of physical or mental health benefits, they are popular toys that can keep your children occupied. You also never know, you might find the fidget spinner to help you keep your mind off of stressors while you’re trying to relax during your own vacation days. The fidget spinner does provide a satisfying sensory experience much like clicking a pen stimulates your senses. Even if you doubt in the longevity of the fidget spinner’s popularity you still may have reason to buy one. 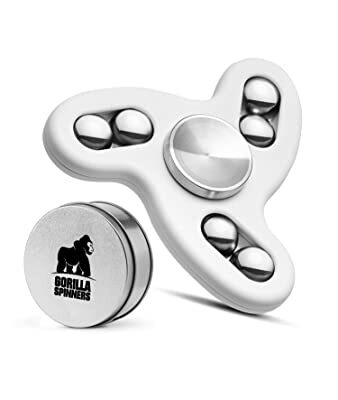 In fact, if you’re willing to place a bet that the fidget spinner will be out of style before we all know it, then you can consider buying one (or more) a wise move. Think about all of the old toys we used to have as kids that they don’t produce anymore. People are willing to pay good money for retro toys and antiques nowadays. Not to mention, fads tend to return after a while, sort of like hairstyles and fashion. Right now vinyl records and cassette tapes are actually rising in sales, which certainly wasn’t the story just a decade or so ago when CDs had taken over. If the fidget spinner falls out of style this summer it could be back in style ten years from now, and you may be able to make a bit of coinage at garage sales and online markets like eBay and Amazon if you hold on to your collection of fidget spinners over the years. It sounds sort of tedious to really put actual thought into selecting a toy. But fidget spinners are an incredibly popular item right now and manufacturers from all over the world are rushing to get into the market. This means that there will be some really cool and unique fidget spinners as the competition battles for sales – and the flip side of that coin is that there will be some very poorly made spinners produced in bulk by cheap companies who are trying to sneak into the market before the popularity dies down. It may actually be worth your time to consider just what type of these little gadgets you might be willing to spend your money on. But what really separates one fidget spinner from another? The answer is surprising. Believe it or not, there are quite a few variations of the fidget spinner. The average duration that a fidget spinner spins once you’ve put the tips into motion is one of the most important distinctions. That duration is better known as “spin time”. Some fidget spinners are designed to rotate for an incredible amount of time before being spun again, while others require a spin as often as every minute or so. Another way to filter fidget spinners is by price. As mentioned before, these little devices can be just a few dollars, or they can cost more than a bottom shelf bottle of wine. One of the biggest variations between spinners is their appearance. Different colors, shapes, and sizes can make some fidget spinners more valuable than others. 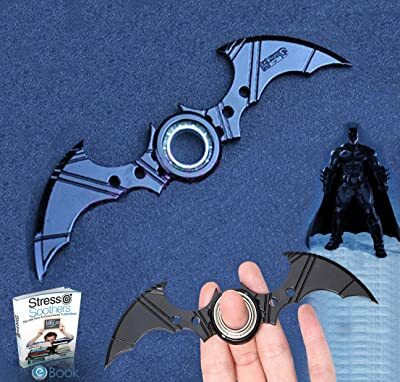 What you will want to look for is a fidget spinner (or multiple fidget spinners) that are perfect for what you intend to use them for; because who wants to spend money on a silly gadget just to find out that you don’t really like it. Try keeping these tips in mind as you search for your version of this popular toy. Consider who you’re buying the fidget spinner for. If you intend the fidget spinner to be a gift then think about who might be the recipient. Buying the device for a child may include looking out for their favorite color. They might also enjoy a version of the gadget that spins for a really long time. Think about how much you’re willing to spend. It is only a handheld object with very few functions after all. But remember that unique designs could be worth something some day and may be worth a few extra dollars. How much is a fidget spinner worth to you? Think about when you or the user will be using it. Perhaps the kids will want to bring fidget spinners with them to keep them occupied during long car rides and travel. Buying cheap ones may be a good idea in case they are forgotten at hotels or other vacation spots. 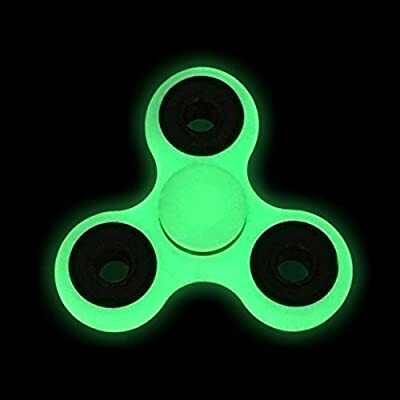 Maybe you could hand them out as party favors at your 4th of July party – there are glow in the dark fidget spinners that will complement the sparklers and festivities. Red, white and blue spinners are pretty common too. Everybody’s doing it. Ask your friends where they bought their fidget spinners. Maybe they can help you find a sweet deal. There are multiple ways to utilize a fidget spinner and really the only way to not spin the fidget spinner correctly is to spin it in a way that is uncomfortable to you. The purpose of the fidget spinner is to put you at ease and relax you, as long as you are ‘fidgeting’ comfortably, you are fidgeting correctly. With that being said, here are the most common ways to use a fidget spinner. The easiest and most popular way to use a fidget spinner is called the flick method. First, you grip the device by the center with your thumb and pointer finger. Next, flick the spinner forward with one of your free fingers to spin the fidget spinner by the tips. Usually you contact the tip with the base of your finger nail. You can always substitute fingers and grip the center with your middle finger instead of your pointer. Some people find the spinner easier to grasp that way. The reverse flick or spinning method is another common way to use your spinner. By gripping the spinner in the same way mentioned above and restraining the spinner from moving by pressing the spinner inward with your spinning finger, you can then snap the spinner backwards and send the tips rotating in reverse. There are a variety of other ways to put your spinner into motion and you can check some tutorials out here if you have trouble figuring it out. Now you know all about fidget spinners, but more importantly, you know all about the fidget spinners that you want. Join the craze and be a part of the movement. 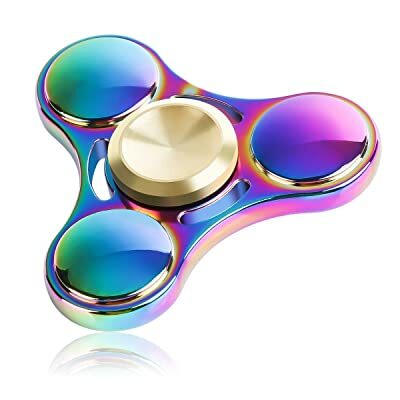 Whether the fidget spinner has any sort of clinical benefits or not, it is a certainty that it is a lot of fun and there are plenty of cool variations of the gadget out there. It seems at this point that there may just be one for everybody. Start or add to your collection and enjoy a fidget spinner filled summer. If these toys die out then it’s worth at least having a bit of fun with them before they are a thing of the past. Fidget spinners are collectible objects.